If you have forgotten your administrator password for Windows, you can use a Ubuntu Linux live CD or live USB to reset the password. This tutorial will show you how to do that, step by step. 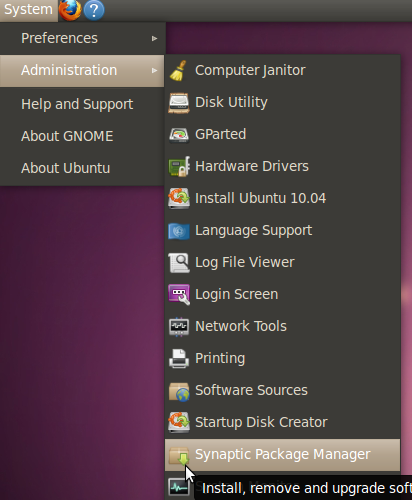 There are many ways to get Ubuntu Linux. You can find more details about that here. 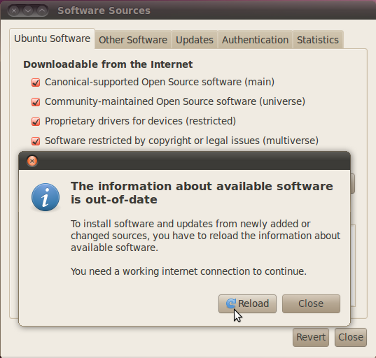 If you run into any problems or have any questions, the folks at the Ubuntu Forums are very helpful and friendly. I will not be answering any support questions posted as comments here. 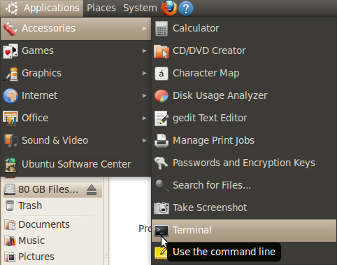 With the Ubuntu CD in your optical drive or with the Ubuntu USB plugged into your computer, make sure your BIOS is set to boot from CD or USB before your hard drive. 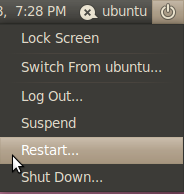 You can usually enter your BIOS settings by pressing F1, F2, F9, F10, F12, Esc, or Del during bootup, depending on the kind of computer you have. 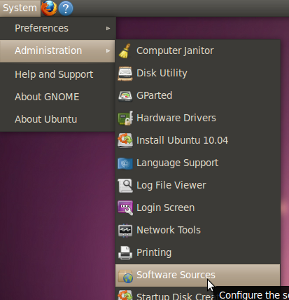 After Ubuntu boots up, you’ll be asked if you want to try Ubuntu or install it. You definitely want to just try it at this point. Installing software on Ubuntu is a bit different from installing software on Windows. Instead of going to a website to download setup files, you just tell the software package manager what you want installed, and it fetches it for you off some servers. It’s a lot like the iTunes App Store or Android Market. This does assume that you have a working internet connection (wired preferred, but wireless can work, too). If, for some reason, your internet connection isn’t working on the computer you want to reset the password for, you can also download the chntpw .deb using another computer, transfer it over via USB, and then double-click it to install it. 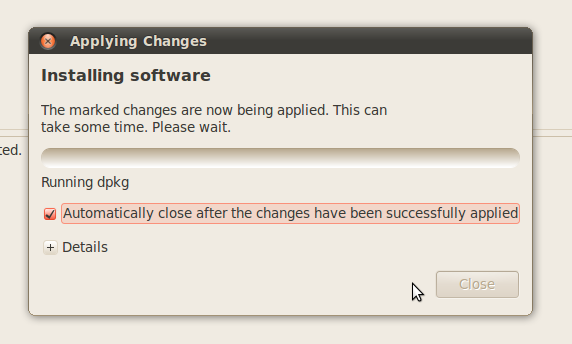 First we want to make sure we have the proper software sources enabled to install chntpw. Make sure both the Universe and Multiverse repositories are checked (or “ticked,” if you’re not American). Click Close and then, when prompted, click Reload. Wait for the information about available software to reload. (Note: to those of you who have installed software in Ubuntu before, you actually do—at least as of Ubuntu 10.04—have to go to Synaptic to install chntpw. You can’t install it through Ubuntu Software Center). Press Control-F or click on the Search button to get the search dialogue up. Then search for chntpw. 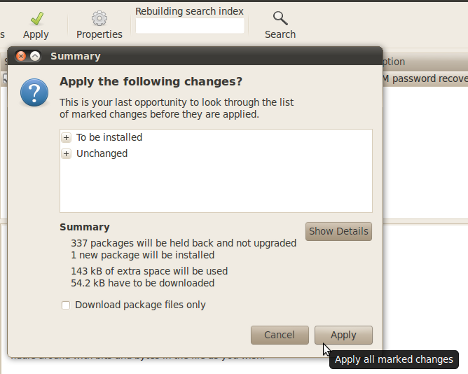 Once chntpw pops up in the search results, right-click it and select Mark for Installation. Click Apply, and then, when prompted, click Apply again. Wait for the Synaptic to download and install chntpw. To mount Windows, just click on Places and then select your drive. It will be listed by the size of the drive (in this example, 80 GB). chntpw is a terminal-based (not point-and-click) application, so to use it, we’ll have to open up a command-line terminal. Don’t be intimidated. I’ll walk you through the process. I’m going to be offering a lot of explanation for those who aren’t experienced with the terminal and commands, but if you want to just skip over all that stuff, feel free to just pay attention to the terminal commands and ignore the explanations. First, you’re going to cd (change directories) to the right Windows directory. Start typing cd /media/ and then hit the Tab key, and it’ll autocomplete with the address of your mounted Windows drive. Then type W and hit Tab again to get to either Windows (Windows 7) or WINDOWS (Windows XP). Yes, the terminal is case-sensitive, so upper- and lower-case matters! Type S or s and hit Tab again to get System32 or system32 (again depending on whether it’s Windows 7 or Windows XP—I forget which it is for Windows Vista). And do the same for config. Tab completion makes things a lot simpler, so you don’t have to type every single word out. It also avoids the whole typo issue, in case you aren’t a good typist. Once you’ve gotten to cd /media/name-of-your-windows-drive/Windows/System32/config or cd /media/name-of-your-windows-drive/WINDOWS/system32/config, hit Enter. Used for data: 260/20240 blocks/bytes, unused: 9/4144 blocks/bytes. Now you can reboot, and you can log into your admin account with a blank password. Once you’re logged in, you can go to the Control Panel to change your password to something else—something you can remember. If you’re curious, you can see an older version of this page. Fantastic tutorial. I knew there was a simpler solution, with all of these Linux CDs I have lying around. you took your time to give a detailed explanation, even a computer dummy can do this, i’ve spent 3 days now on the internet downloading several softwares that never worked or that wanted my credit card until i landed on this page. Scrap that last comment, I cannot do ‘sudo chntpw -u username SAM’ without it saying openHive failed: No such file or Directory, trying read-only. openHive in fallback RO-mode failed: no such file or directory. Right… I’ve completed the whole process, but when I try to log into my account on vista (32x) a blank password doesn’t log me in; the hint has gone, and I did select clear password. Can anybody help me? LOWERCASE sam fixed my problem. KEEP THIS IN MIND IF IT’S NOT FINDING YOUR SAM FILE. 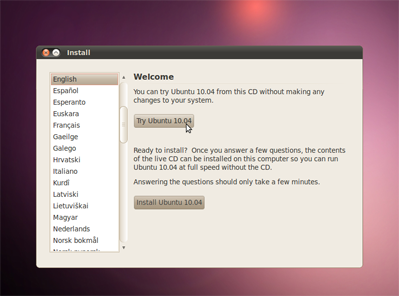 hello , sorry , l not speak English very well so, i use chtnpw version 0.99.6.2 on Ubuntu 10.10 but it not clear my password window. Thanks soo much man. I really appreciated your tutorial. Thanks a ton for the detailed explanation and the snapshots. My life is back to normal because of you mate. I used Ubuntu 12.04 and things were a little different here but was able to manage. Thanks to ‘john stapleton’ for hinting that the Dell requires double boot up. This did NOT work for me. Please help. Used for data: 364/31768 blocks/bytes, unused: 6/4808 blocks/bytes. SYSTEM (and possibly SECURITY) hives not loaded, unable to disable syskey! Please start the program with at least SAM & SYSTEM-hive filenames as arguments! Thank you ! chntpw is a very good utility. I used & get 100% result. Hey, Courtney. When you’re in the terminal, try typing df -h to see the address of the hard drive. Also, keep in mind that the paths to folders are case-sensitive. So if it’s an uppercase and you’re typing lowercase, it won’t autocomplete. I had the same problem as the user lifestyle, because chntpw cannot disable syskey! What can I do? hello all today i planed to buy “windows password key protection” but when i seen your tutorial it quite nice and i tried it by god sake all is well thanks for an nice stuff and all the best.!! Really thanks, you save my day. I own you a beer! hi there, thanks for the tutorial. I can’t find a /system32/ or a config after that. 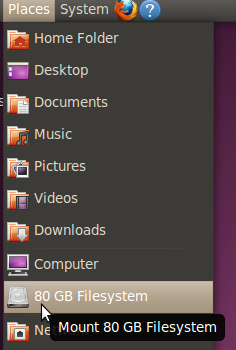 can you tell me where else that config file could be? or where else /system32 directory could be? Dude! Thanks! Saved my bacon! 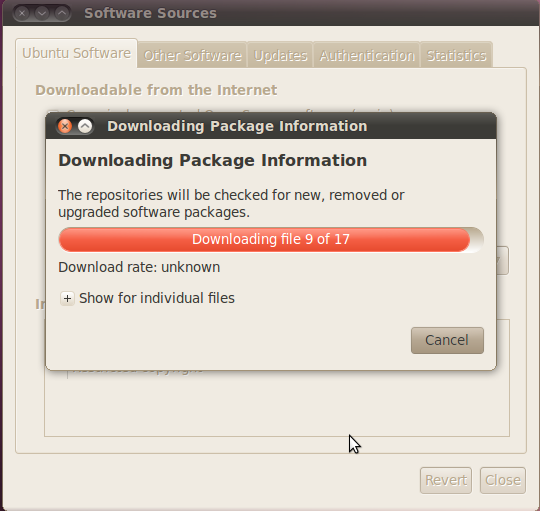 I needed that self-installer package link since I was running Ubuntu off the CD drive only! please somebody help its very urgent the mount is unsuccessful telling windows is hibernated and access is denied ?? I was careful not to be root or have command line starting # as I do not yet fully understand this stuff to minimise any risks. It works like a charm! Thank you so much! Right-clicked chntpw but “Mark for installation” is faded and unable to be clicked. Not first problem this “guide” has thrown up. Awesome, saved me loads of grief, worked for Server2003 had to add the full path of the mounted drive but it wasn’t difficult. Does this work with Windows 8 and Windows 10? If not, is there a solution? Actually, I just tested it on Windows 10, and it works fine. Thank you so much bro I have been trying for two days and I done (I mean we) it. Podcasts you should subscribe to! Music you should listen to! 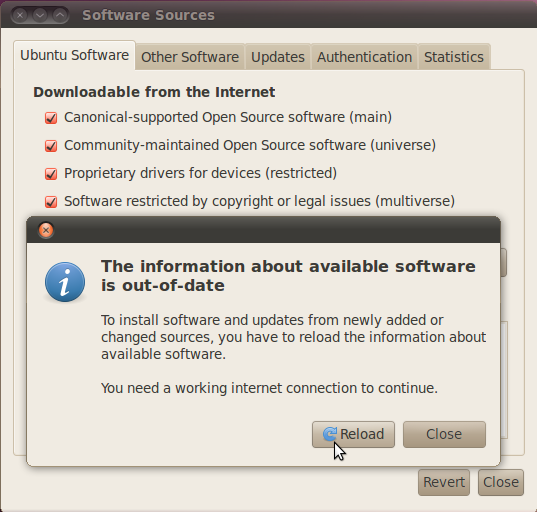 Michael Biller on Know why software installation is difficult on Linux? It’s a secret. I can’t tell you. Ubuntucat, Proudly powered by WordPress.